Life offers endless first times. Life itself does the work for you in connecting the dots of beautiful memories arising from every first-time-experience you did. ...life offers endless first times. Life itself does the work for you in connecting the dots of beautiful memories arising from every first-time-experience you did. ✈ After six years, history extended its strings to connect the dots of the past and of the future. ✈ Writing this story had nostalgia firing some neurons in my memory center. If I didn't write this story, I wouldn't be reminded of the day I encountered dragon fruit for the first time. Our life as mortal beings is endowed with endless first times. We often experience them without asking for it. The space we live in offers limitless options, oftentimes, the natural order of things connects the dots for us—yielding fruits of beautiful and lasting memories we didn't plan and foresee. 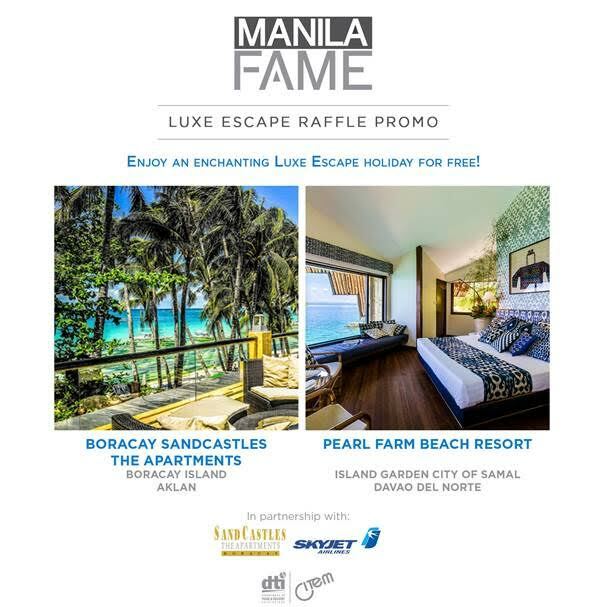 In the town of Burgos in the province of Ilocos Norte, I visited the Refmad Farms and Resort—a brainchild of a successful Ilocana entrepreneur Editha Dacuycuy. 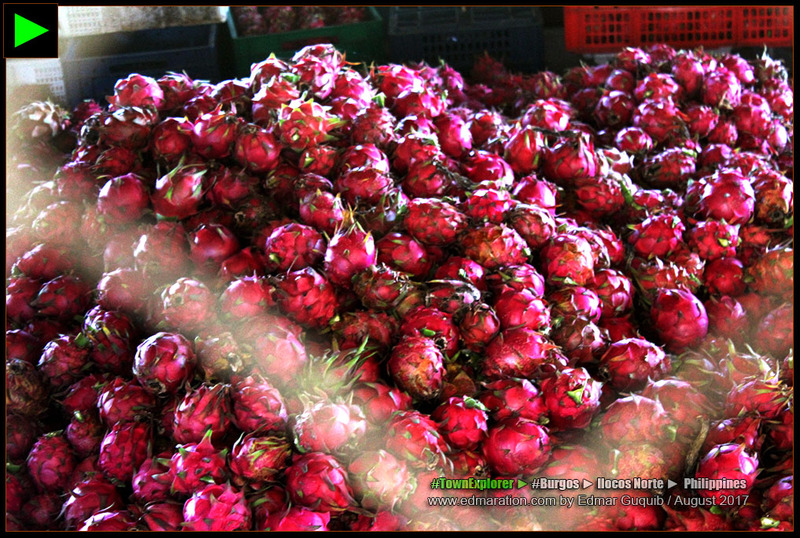 | 1 | [BURGOS] ► REFMAD DRAGON FRUIT PLANTATION IS THE FIRST IN ILOCOS REGION. I was invited by CITEM (Center for International Trade Expositions and Missions), the export promotion arm of the Department of Trade and Industry committed to developing, nurturing, and promoting globally-competitive small and medium enterprises (SMEs), exporters, designers, and manufacturers by implementing an Integrated Approach to Export Marketing in partnership with other government and private entities. Tired and sleepless the previous day, the CITEM officers woke me up with a big hello while my cheeks comfortably rested on my bent elbows. It's our first time to meet in person after several exchanges of messages via e-mail. They knew I was the Edmar they were expecting to meet because I told them I'm wearing red clothes. It was good to see them although I felt a little bit awkward to talk with them with my fake smile and pretentious presence of mind just to conceal the fact that I just woke up from a deep sleep. It was obvious I know. I woke up like this (that) anyway. 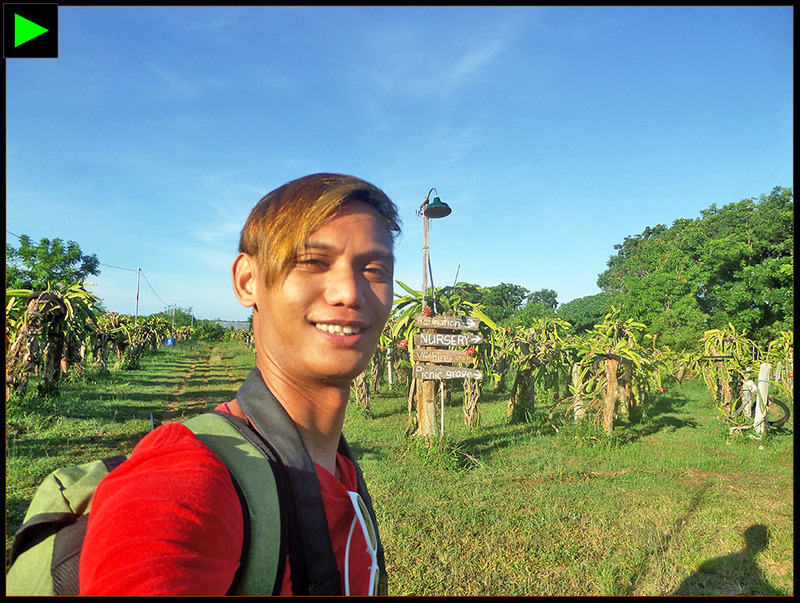 Fast forward, after about five (5) hours of touring, learning the history of the farm, and meeting Editha Dacuycuy, we faced the angry sun to harvest dragon fruits. 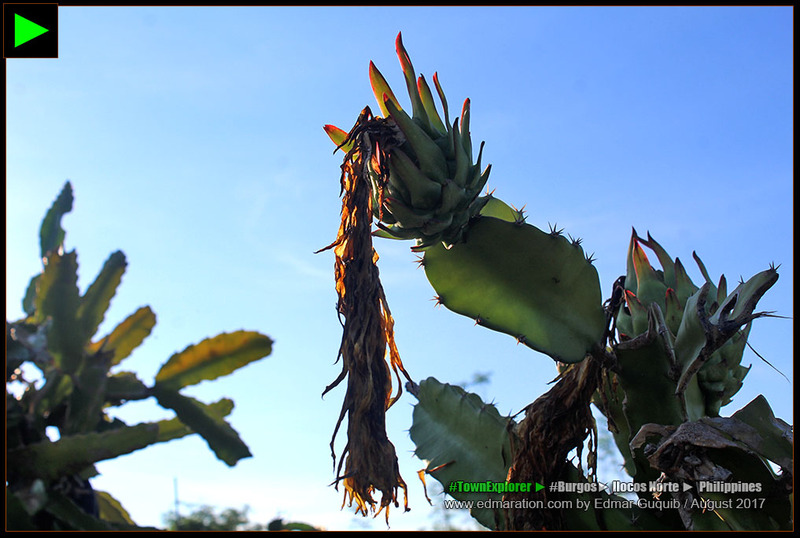 | 2 | [BURGOS] ► THESE DRAGON CACTI BEAR FRUIT AND FLOWERS UNDER THE CLEAR BLUE SKY. 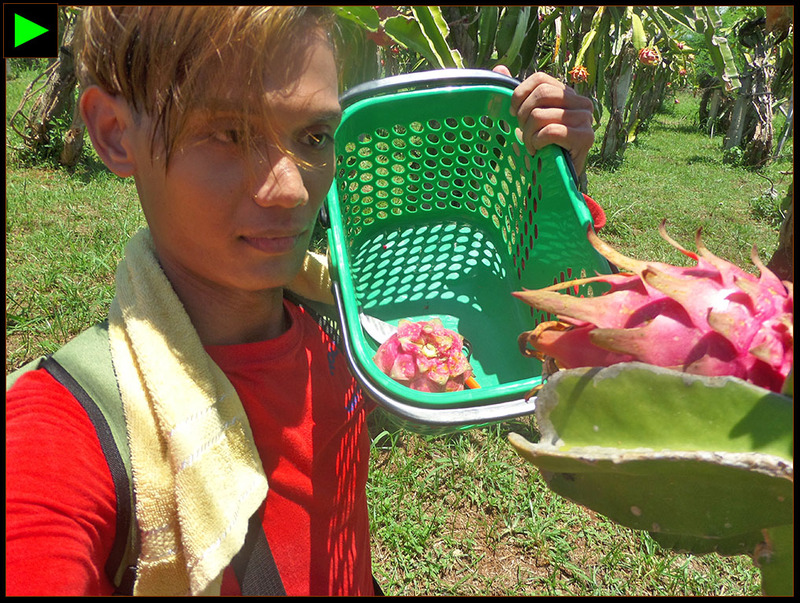 It's my first time to try dragon fruit picking and I never thought I would experience it here. I was thrilled when I learned that Mrs Dacuycuy would allow us to do it. 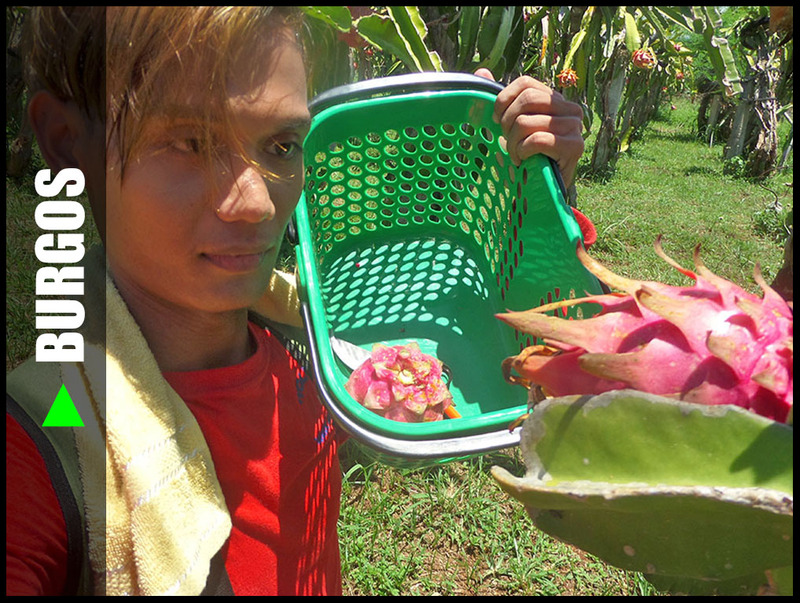 At first, I thought harvesting dragon fruits was complicated. I was thinking of strict rules and appropriate practices to ensure the quality of the fruits after picking. My fear was to injure the fruits and the cactus itself (yeah, dragon fruits are cactus yields). I remember in September 2011, it was my first time to encounter and eat dragon fruit. I was able to document it. I also published that story on this same blog. After about six (6) years, I'm doing another first time—to experience picking a dragon fruit I first encountered six years ago. 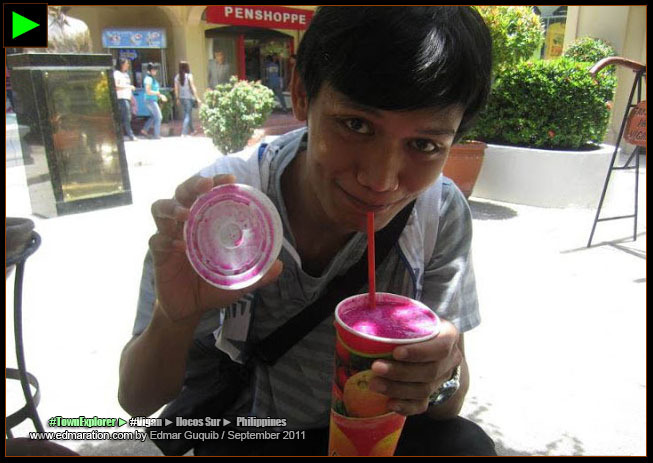 | 3 | [VIGAN] ► SEPTEMBER 2011: I FIRST ENCOUNTERED DRAGON FRUIT SIX YEARS AGO. | 4 | [BURGOS] ► AUGUST 2017: I PICKED DRAGON FRUITS FOR THE FIRST TIME; SIX YEARS AFTER MY FIRST DRAGON FRUIT ENCOUNTER. Indeed, life offers endless first times. Life itself does the work for you in connecting the dots of beautiful memories arising from every first-time-experience you did. I know they need something that's why they need to do something. You see great hope in their eyes. , you need to pay for five hundred (500) pesos just to harvest strawberries (you pay for the experience). 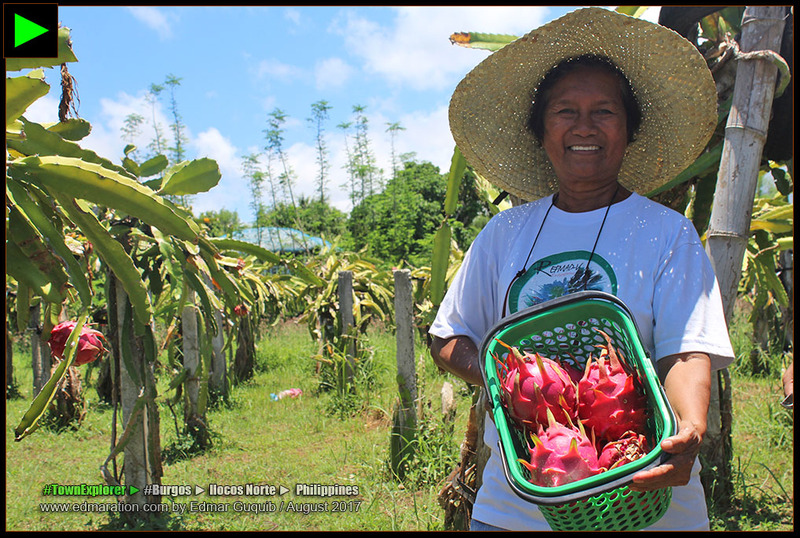 | 5 | [BURGOS] ► MRS EDITHA DACUYCUY IS THE OWNER OF REFMAD DRAGON FRUIT FARM. 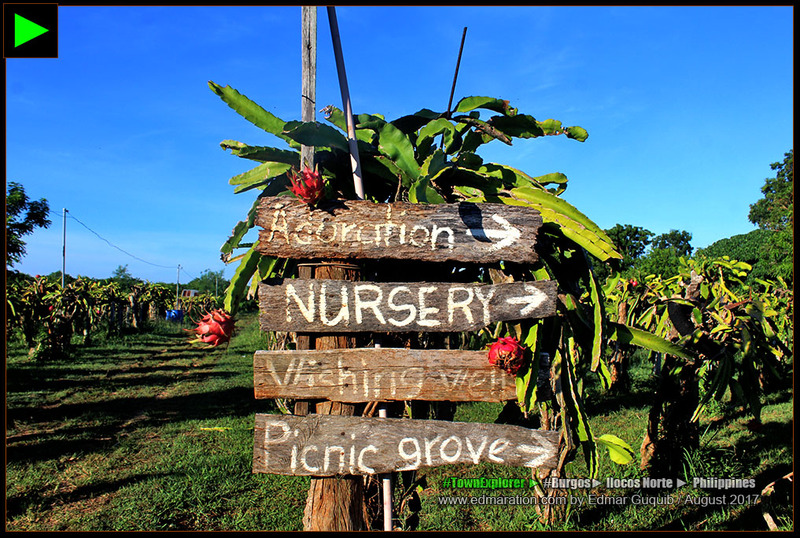 's Strawberry Farm was also the reason why I had that fear of harvesting dragon fruits because harvesting strawberries is associated with strict rules and practices to prevent damaging the berries and the plants. I thought the same precaution applies to dragon fruits but Mrs Dacuycuy explained to us, even before I experienced harvesting for my self, that dragon cacti are generally maintenance-free. Just plant it and wait for the fruits to appear. 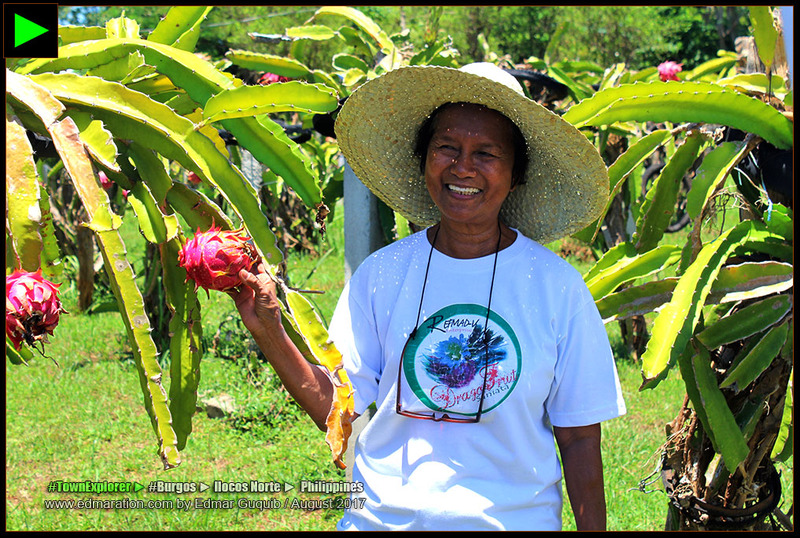 | 6 | [BURGOS] ► MRS EDITHA DACUYCUY IS THE OWNER OF REFMAD DRAGON FRUIT FARM. Although dragon cacti are generally maintenance-free, Mrs Dacuycuy's farm is a commercial farm so they still need to maintain it with the blessings of agricultural technologies to ensure the highest quality of the yields.
. The delicate care strawberries require is non-existent in growing dragon cactus. | 7 | [BURGOS] ► BOUNTIFUL HARVEST AWAITS THOSE WHO INVESTED IN GOOD STEMS OR SEEDS. 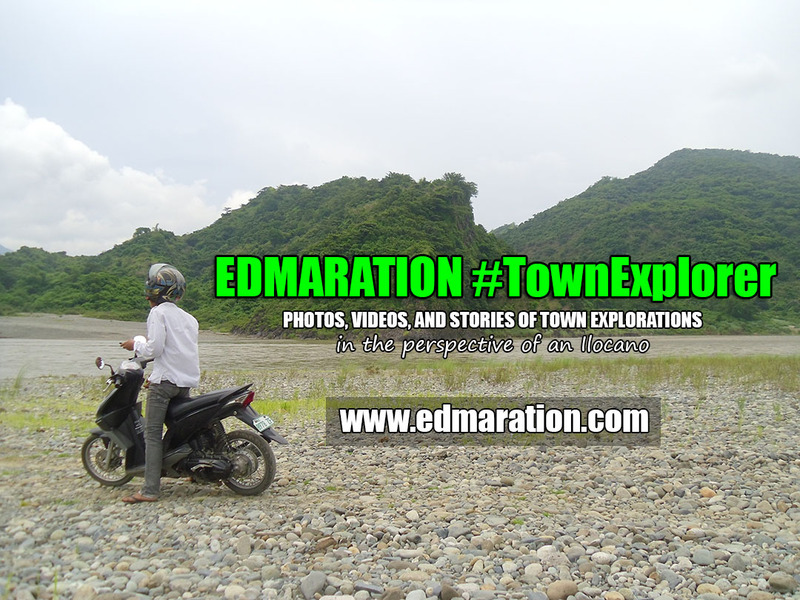 With three representatives from CITEM, me, Mrs Dacuycuy and a family of tourists, we took our baskets, cutters, and put our wide-brim hat. Mrs Dacuycuy taught us how to properly pick the dragon fruits using our cutters. If you have watched my YouTube vlog above, you probably have seen how it was done. Writing this story had nostalgia firing some neurons in my memory center. If I didn't write this story, I wouldn't be reminded of the day I encountered dragon fruit for the first time. I am aware of the existense of dragon fruit. It is not new to me but it was my first time to encounter a dragon fruit in person that I became so ignorant. It was a total embarrassment or shall I say ignorance in a severe degree. 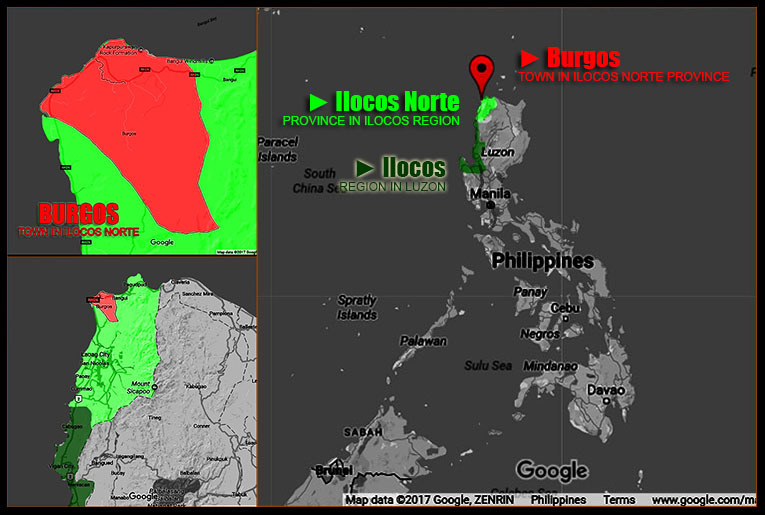 After six years, history extended its strings to connect the dots of the past and of the future. I don't know. This may sound stupid but I'm super fascinated and amazed with things like this. One of the reasons why I blog is to save memories my brain couldn't accommodate. Now that I once again found a connection to the past, I'm the happiest person this minute. The feeling is high. You may not understand me but I find joy in some stupid nostalgia and experiences like this. If you find these ending words disturbing, please bear with me. I intended to write it because I want to save what I am feeling now—this moment—although it might only be me who could understand this feeling. Sorry. | 8 | [BURGOS] ► NAIMBAG NGA ALDAW! ILOCANO GREETINGS FROM REFMAD FARM!. ✈ This post was filed under the category "Farms." See more posts related to this below.